You had me going there for a minute Sassy, I was thinking what a perfect housewife! Your card is gorgeous, I love the image and the detailing is just wonderful. Fabolous card Sassy,well back to ironing duh!!! 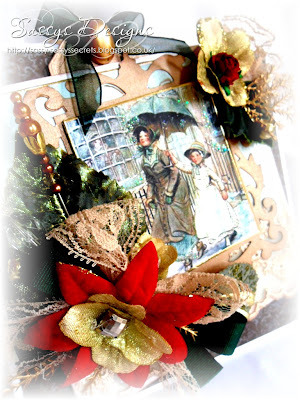 Beautiful card Sassy, I like the vintage image and all the foliage. One word "WOW" Love it !! Stunning vintage Christmas card Sassy, love the beautiful flower spread. Ooh, you scared me there Sassy; thought you were putting the rest of us to shame, lol! Nice to see you doing important things like making gorgeous cards! Fabulous! what a gorgeous vintage feel to this one Sassy - love it! I thought you'd gone all Anthea Turner perfect housewife on us for a minute and your daydream sounded wonderful lol. I really like that vintage image, so sweet. Ohhh to have all the work done that we dream of, teehee. Absolutely beautiful card, love the beautiful elements you used. The Digi Doodle Shop is having a vintage challenge this week, you definitely should enter this gorgeous card! Tee hee Sassy .. .. just for a moment there you had me thinking you had been hyperactive in the extreme!! LOL!!! Your Christmas card is super luxurious. Beautiful! So gorgeous! 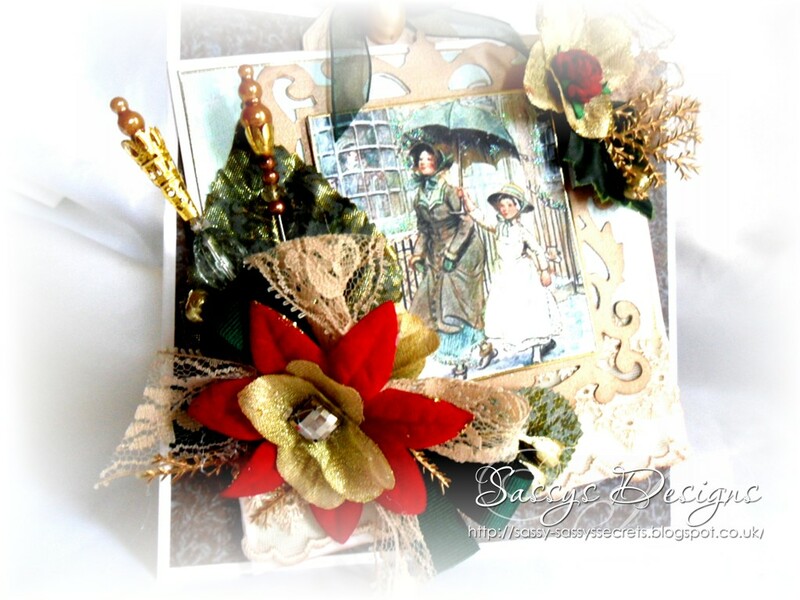 Love the embellishments you used...they really show off this image! it's a stunner, Sassy! I love your vintage style and it's perfect in colours and design.